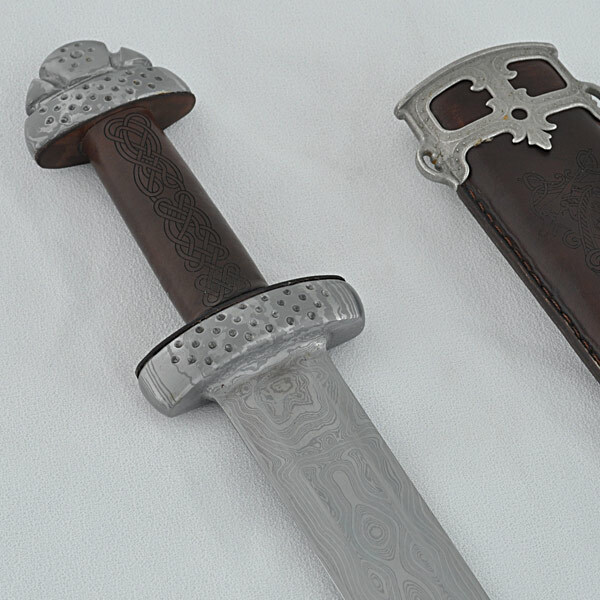 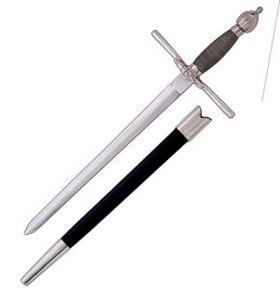 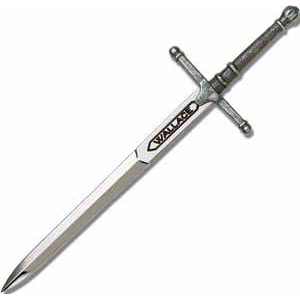 Hanwei continues to push the envelope with its forging capability in the Trondheim sword, Paul Chen produced this as a one piece forging in pattern-welded high-carbon steel. 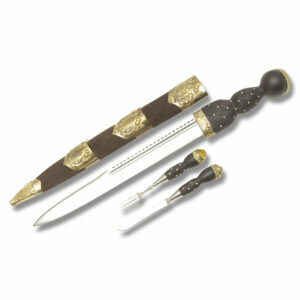 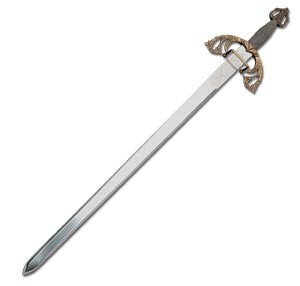 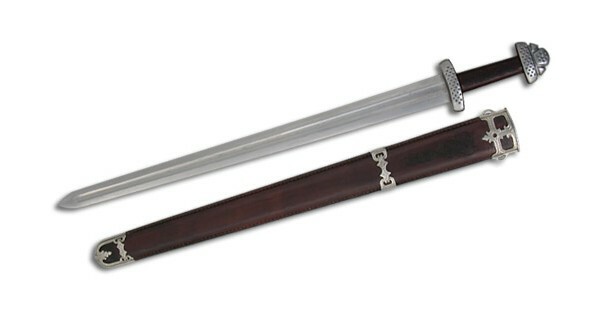 Patterned after swords that have been discovered in the area around Trodheim, Norway, the sword exhibits early ninth-century styling, a time when the Norwegian Vikings were pillaging Britain and Ireland. 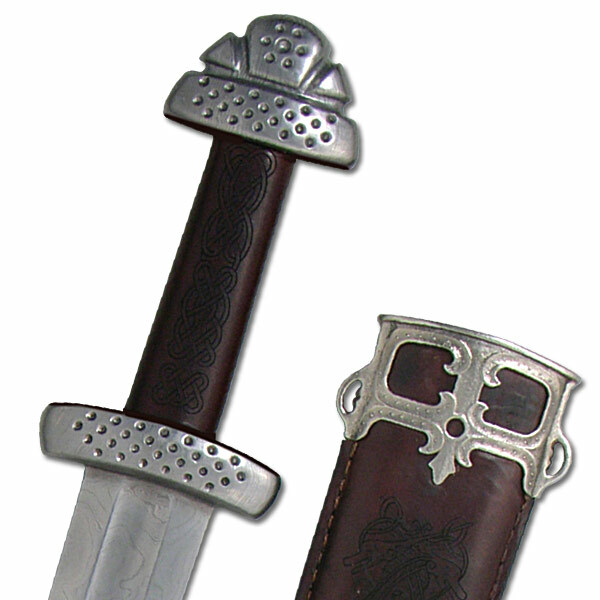 The beauty of the blade is matched by the grip and scabbard, both of which are wrapped in top-grain leather, engraved in a classic Viking motif.